A beauty buyer’s dream! Swap your old crap for lovely new stuff! High five – it’s a makeup amnesty! Anyone fancy trying a new mascara? How about a lovely deluxe sample of one of Clinique’s top-selling products? 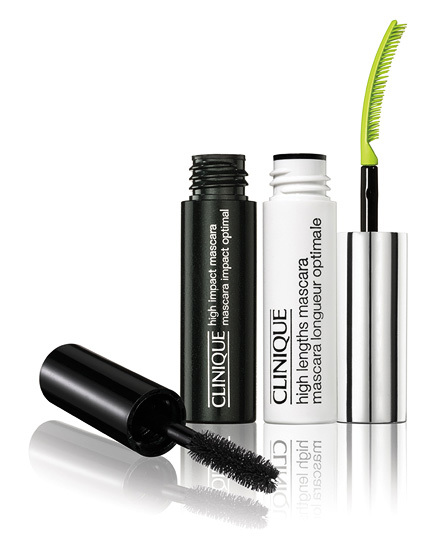 Clinique are offering us this rather brilliant opportunity to take in one of our crappy old mascaras and exchange it at the counter for a deluxe sample of one of these alternatives! The offer is valid from 29th October – 16th November exclusively in Boots and only while stocks last. Absolutely no purchase is necessary but stop rummaging through your sister’s/mother’s/mate’s makeup drawers ‘cos it’s only one per client. I SAW you! I haven’t tried the High Impact (volumising) one yet, so will be hot-footing it down my nearest Boots/Clinique counter to give it a go. If you want to see how the High Lengths (lengthening) looked on my lashes, click here for my review and some before/after shots. Will you be ditching an old mascara and trading up for this offer? I wanna know… which mascara will you be swapping and which of Clinique’s will you be choosing to replace it? Oooh I need to run to the Boots store! Ooh, not sure I’ll be able to make it to a store in time, but I’d like to swap a crappy old 17 one and try the High Impact Mascara because my eyebrows are so close to my eyes, lengthening mascaras tend to leave my eyelashes poking into them.